With the abundance of raccoon in Wisconsin today it is hard to imagine the need to limit the number a trapper can catch, but that is exactly what happened during this period. 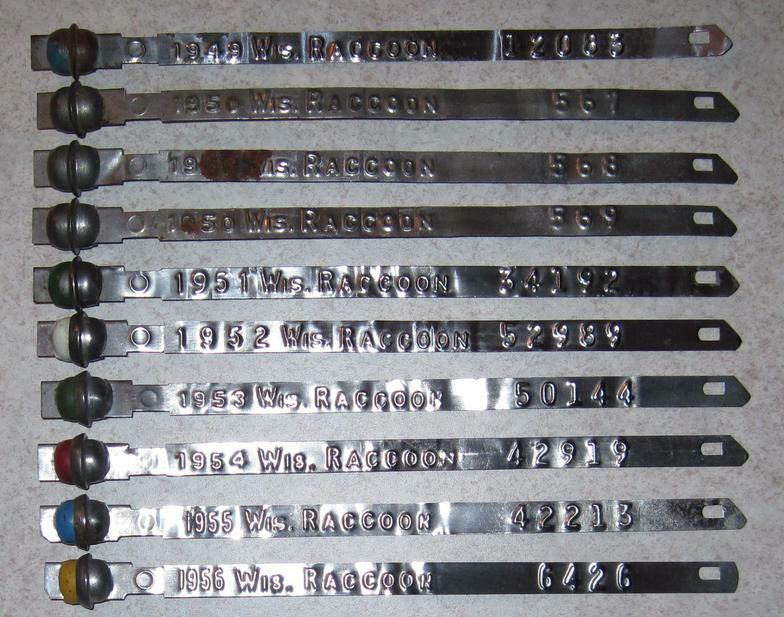 Similar to the way trappers are issued Otter Tags today trappers in the 40s and 50s could only catch as many raccoon as they had tags for. Often trappers were issued multiple tags and they were consecutively numbered as in the example below from 1950.